How would you like to be a Rutgers' fan and see your taxes go to feed,house,and clothe football players for 18 years,then give you finger on their way over the state line to play for another school? The security staff would likely have tossed me after I started on Taveras.I'm an Islander fan.He's going to get some reception at Nassau on Feb.28th. I thought about walking over the bridge to go see the game,but the cold and the wind chill said no.They had tickets center ice for $52. ........................................come from New Yorkers going to the game and betting on the Islanders once they were inside NJ's stateline? s game on the big screen,a scene I'd never thought that I would see. I don't know if New Yorkers can get an account in NJ.Does anybody know? 5-5 vs the spread for the Knights. This is the first game I've missed in 6 years.My doctor said it was a no go. In that 2002 game vs Miami,Rutgers had a touchdown take away from them by the refs.Miami was trailing in the 4th quarter.That won't happen today.but a cover is possible with a few breaks. Next week,Rutgers will cure all of their ills. It's a bit different from 2018 in that fewer teams have Wednesdays off with some 2 game series beginning on Saturdays. Each day's games are recorded on a 8x14 sheet with spaces for the opening line and the opening over-under,the game of series,the length of the series,the number of consecutive wins or losses both chronologically and on this day of the week,and whether the team is opening a home stand or going on a road trip. Now it's time to delve into the 5 year run from 2014-2018-what I call The New Baseball with the challenges,the shifting,and the deeper bullpens-to ascertain what gives in certain situations. I've already starting doing games in which teams are going for a three or a 4 game sweep.The first three months of 2014 look promising but we'll see if these trends hold.I'm fixated on this 5 Year Plan(No,I'm not a Communist) because of what this old horseplayer told me some 35 years ago when I would show him a short stretch of success at the racetrack:"Show me 5 years,"he would say. I've actually adapted some horse racing principles so to speak,devising a game situation number (GSN) and a game classification system (GCS).Explanations of these won't be today. That's it for now.I'll report back in a few months with the first results.Enjoy the post season. It could be that they're facing a disproportionate number of 5th starters on those days. The Fish have dropped all 13 games they've played on Thursday this season.In the 21 years that I've been charting days of the week,no team has gone winless on any day of the week.The 2004 Diamondbacks dropped 15 straight Saturdays and the Rockies lost 14 straight Sundays earlier in the decade,but no team has been shut out. Hurricane Florence will miss the NYC area.Will Sandy devastate the Mets' lineup today?If not,there's always game 2 on 14 straight! I'll have the 2019 schedule finished by the end of this season,with each day's schedule down on my sheets along with notations for game of the series,length of the series,whether it's a sweep game,a rubbergame,a makeup game,etc,if the team is starting a road trip or a home stand,etc.It's a lot to do,but it leaves the entire off season to do my 5 year research program. I have the opening line and the over-under for every game of what I term the New Baseball from 2014 on,the year of the Manager's Challenge,the shifting,the increased bullpen usage,etc. I've already started on 3 game sweeps.In 2014,home faves going for the sweep lost their first ten attempts at sweeping a road dog on a 4 game losing streak.I'll definitely pursue that angle. This will do it for me for a while.The day to day posting I did for several years before bailing out in 2017 probably will not return.I will post results of my findings for the industrious if they care to follow. If the Mets and Marlins are to play 2 tonight/this morning.This one will have to be quick. The rule was changed after the 1993 PHILS-PADRES DH in 1993,whose second game started at 1:28 am. In addition,any rain delay after 1 am becomes a suspended game if its tied after 5 innings. So don't automatically think of betting the loser of the first game here. The CEO of Twitter,Jack Dorsey,virtually admitted to the practice yesterday before Congress,a body which will do nothing about it. 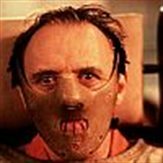 Trump needs to find a Luca Brasi to have a sitdown with this banned leader to make him an offer he can't refuse:Either he signs a pact to end the practice or his company will be on paper listed as a public utility. The activity is not run as a stand alone business.It is a sideline for casinos and racetracks. As a result of this,bettors must subsidize the women supplied to blackjack players and the huge purses for foreign stable owners,most of whom hate the USA. GM makes and sells cars.Apple makes and sells iphones.Why can't a business just make book? No.He was the Tigers' ace for three years. Murphy just took him deep on a crazy swing. Aaron Nola is looking good today so far.There's a group in Philly today up from Louisiana just to watch him pitch. Ash didn't want the league to see anything.It could have been in the 50's had he done so.I'm still sunburned. Over the years,I've noticed that big road dogs on 5 game losing streaks are especially dangerous in the first game of a series. We'll moider da bums-even in the rain.I'll be behind the Texas State bench.